We work with a number of partners to deliver our services and achieve our aims and ambitions. You can find out more about Sport England in the East Midlands by visiting their website. Contacts details are located here. The English Federation of Disability Sport is the national charity and body dedicated to disabled people in sport and physical activity throughout England. These include Derbyshire County Council, Amber Valley Borough Council, Bolsover District Council, Chesterfield Borough Council, Derby City Council, Derbyshire Dales District Council, Erewash Borough Council, High Peak Borough Council, North East Derbyshire District Council and South Derbyshire District Council. To view the sport development contacts from the local authorities, click here. The University contribute funding towards the Derbyshire Institute of Sport (DIS), based at its Kedleston Road campus, as well as the ICON bursary programme and other projects. For more information on University of Derby sport teams, click here. Derbyshire has County Governing Body officers in football, cricket, rugby union, rugby league and tennis. Find contacts. From UK Athletics to British Wrestling. Individual national governing body (NGB) local contact details can be found here. You can also view our national database here. 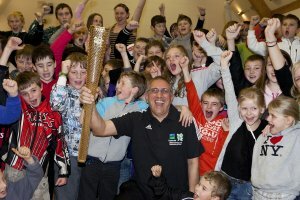 Sports Coach UK and the Youth Sports Trust can be contacted here. These include CP Sport and British Blind Sport with whom Derbyshire Sport have partnership agreements. For a full list of NDSOs, click here. The nine school sport partnerships in Derby and Derbyshire cover each district and city area and work families of schools to enhance PE, school sport and physical activity opportunities for all young people. Find contacts. 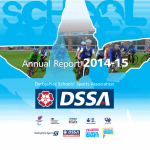 Derbyshire Schools' Sports Association (DSSA) is one of the longest-standing schools' sports associations in the country. Throughout its existence of over 70 years, DSSA has provided a driving force for competitive school sport in Derbyshire. It is a partnership made up of organisations that have an interest in ensuring the development of school sport in Derbyshire and includes the following main sections and programmes. You can find out more about the DSSA's work in their latest report below. Find contacts. The Active Young People Strategy Group provides the strategic forum to guide the development and implementation of the Young People Actions within the Derbyshire Plan for Sport, including the PE and Sport Plan. Find contacts. The PE Service works with partners to provide training and advice to schools to ensure the safe and effective delivery of physical education and school sport. Find contacts. Youth Service coverage runs across the county. Contacts located. Find contacts. Youth Inc help youngsters across by giving them advice as well as things to do and places to go.